The Echo Nest engineering team just pushed out a new feature giving you more control over the artist makeup in playlists. 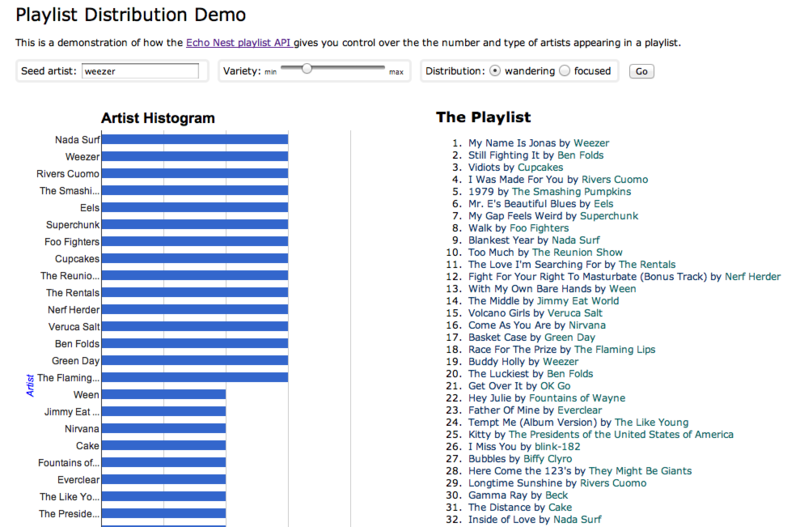 There is a new parameter to the playlist/static API called distribution that can be set to wandering or focused. When the distribution is set to wandering the artists will appear with approximately equal distribution in the playlist. 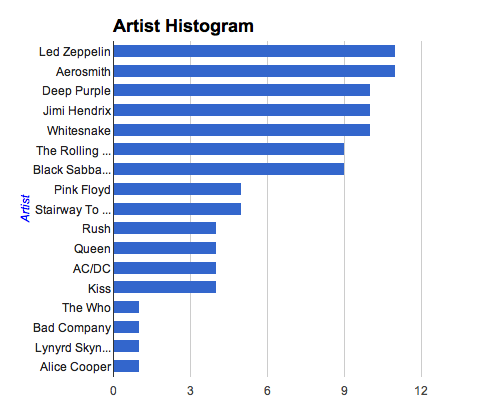 If the distribution is set to focused artists that are more similar to the seed artists will appear more frequently. When combined with the variety parameter, you have excellent control over the number and distribution of artists in a playlist. If you want to create a playlist suitable for music discovery, create a playlist with high variety and a wandering distribution. If you want to create a playlist that more closely mimics the radio experience choose a low variety and a focused distribution. That looks like the artist rotation for my local classic rock radio. 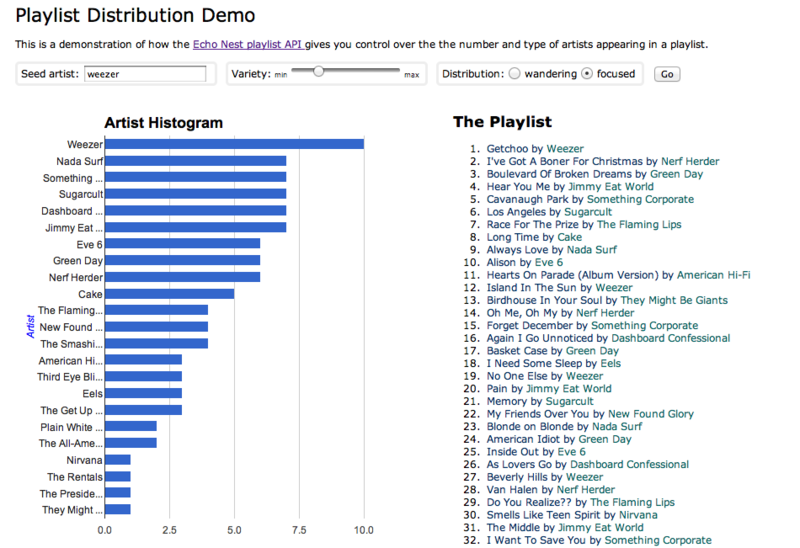 Give the demo a try to see how you can use variety and distribution to match playlists to your listener’s taste. Then read the playlist API docs to see how to use the API to start incorporating these attributes into your apps.